Give them the gift of some hot drinks to warm them while they watch a movie and munch on popcorn through a blustery winter day. Substitute your “filling” as needed to make a surprise for someone of any age. 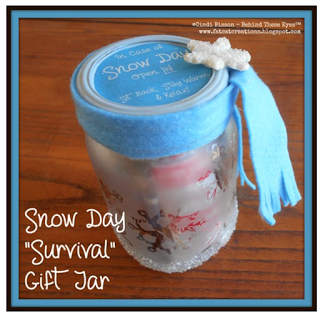 When they are finished with the treats inside, they’ve still got a pretty jar to hold other treasures.